Marley Marl is unquestionably one of the greatest producers and DJs in hip hop history. His influence and importance to hip hop are undeniable, and his innovative productions and pioneering use of sampling helped define the genre. Marley Marl has produced beats for some of the music's finest MCs including Big Daddy Kane, MC Shan, LL Cool J, Biz Markie, Roxanne Shante, Kool G Rap, Nas, Rakim, and Masta Ace. 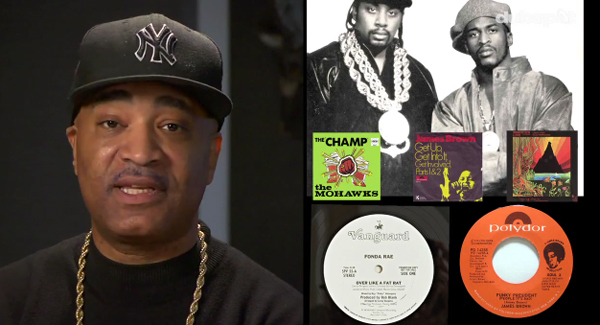 In the second installment of Marley Marl 'Classic Recipes,' he shows you how he produced "Eric B. Is President" in 1986, the debut single for legendary hip hop duo Eric B. & Rakim. Marl talks about meeting Rakim for the first time and discusses the collaborative process with Eric B. that would yield one of the most influential hip hop tracks ever. "Eric B. Is President" combines a bassline from Fonda Rae's bonafide 1982 club hit "Over Like a Fat Rat" and a beat from James Brown's 1974 hit "Funky President." Putting these two parts together was a bit tricky due to differences in tempo, but Marley resolved this problem by replaying the bassline with his trusty Casio CZ-101 keyboard instead of just sampling it. In this video, Marley Marl recreates the entire track using his Akai MPC Renaissance to play a bass sound similar to the original, and using kick and snare samples from The Honey Drippers' track "Impeach The President." As always, Marley Marl drops priceless nuggets of wisdom and tips for young producers, including a beat programming technique he picked up from the original funky drummer Clyde Stubblefield and knowledge and words to live by from Rakim: "It ain't where you from, it's where you're at."